Situated around 20 kilometers from the City of Kunming, Tuanjie Grass Skiing Course is the largest grass skiing course in China. It features a 1,800-meters-long slideway. Between July and August, sunflowers are in blossom. The course offers green woods to visit as well. 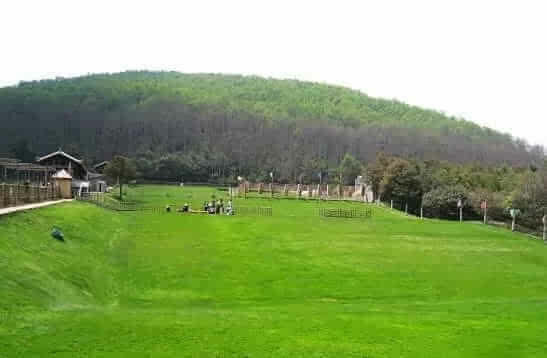 Tuanjie Grass Skiing Course offers a grass corridor to the top of the hill from the bottom. When you walk up to the top, you will be amazed at the vast green grassland. If you haven’t experience grass skiing, you could sit on a skateboard to slide down to the bottom. If you are good at roller skiing, you could also enjoy the thrilling activity to the fullest at the course. The best time to visit Tuanjie Grass Skiing Course is in the morning as it is not so hot. There is no direct bus to the course from Kunming. Therefore, the only option is to rent a vehicle. Please do not do dangerous actions on the skateboard when sliding out of safety. Interested in visiting the Tuanjie Grass Skiing Course on a Tour? Wendy Wei Tours offers a variety of different packaged tours as well as custom tours including the Tuanjie Grass Skiing Course, among other attractions and destinations. To find out more, please visit our Tours page or Contact Us directly to find out more.